Russian President Vladimir Putin has offered fugitive IT specialist Edward Snowden a right to stay as long as he will not further harm the US. 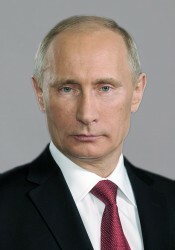 On Monday Russian President Putin announced that Russia would never extradite somebody. However, he said that there was one condition for Snowden, who is charged with espionage for publishing details of a secret US government surveillance program. "If he wants to stay here, there is one condition: He must stop his work aimed at harming our American partners, as strange as that sounds coming from my lips," Putin told reporters after a gas exporters' conference in Moscow. Snowden is believed to still remain at the Moscow airport where he arrived eight days ago. Putin repeated that Snowden was not working together with the Russian secret service. Russian politicians and human activists have been demanding asylum for the 30-year-old American. The US and Russia had negotiated about a handing over of Snowden at high level. On Monday, during his visit in Tansania, US President Barack Obama confirmed that there were high-ranking talks with Russia. Originally, there were reports about Snowden seeking for asylum in Ecuador. However, experts regard this option as almost impossible since the country already distanced itself from the whistleblower. “If he wants to go away somewhere and someone will accept him there, by all means," Putin said. According to a report by the “Los Angeles Times”, Snowden had applied for asylum in 15 other states. The paper reports that he had handed over the documents to a Russian diplomat at the airport’s transit zone where he is expected to stay since June 23 after his passport was declared void. However, it has not been disclosed which countries Snowden had turned to.